Here’s a 1965 Gibson flattop acoustic I restored (serial 512184). 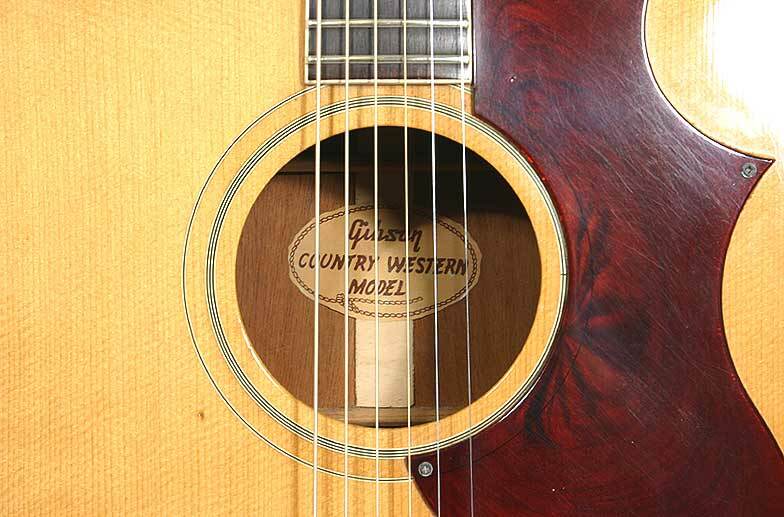 It’s a square shoulder Country Western model. This is the same model as played by Sheryl Crow (hers is a ’62). 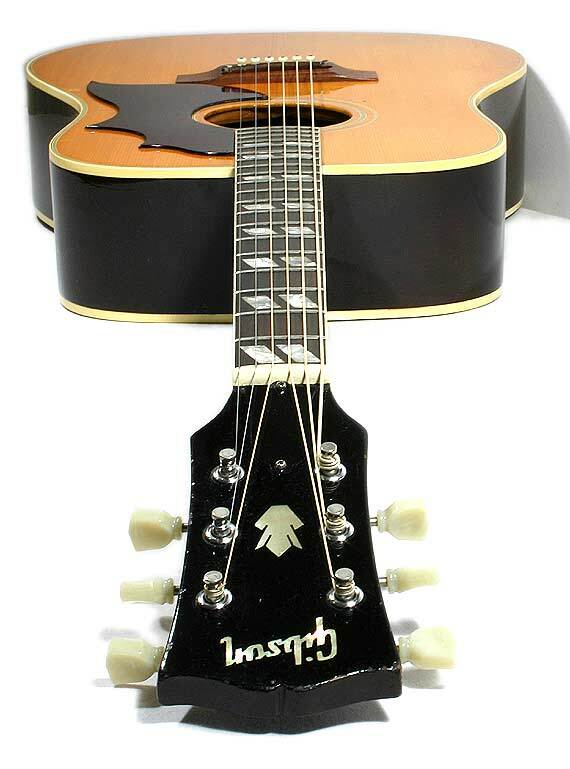 It’s a slight variation of Gibson’s renowned Hummingbird without the garishly ornate scratch plate. 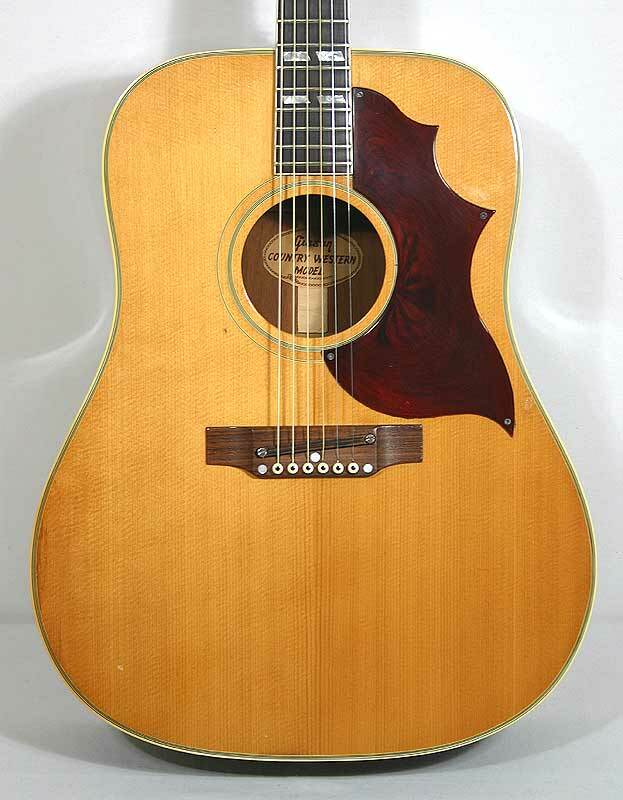 The body is similar to Gibson’s J-45 slope shoulder dreadnought design, but with wider, square shoulder accents on the upper bouts. The spruce top projects a full, balanced expression, with blended dark lows and brilliant highs. It good sound for vocal accompaniment. The adjustable saddle has a bad reputation for killing tone and volume, but on this it sounds warm with lots of harmonic overtones. 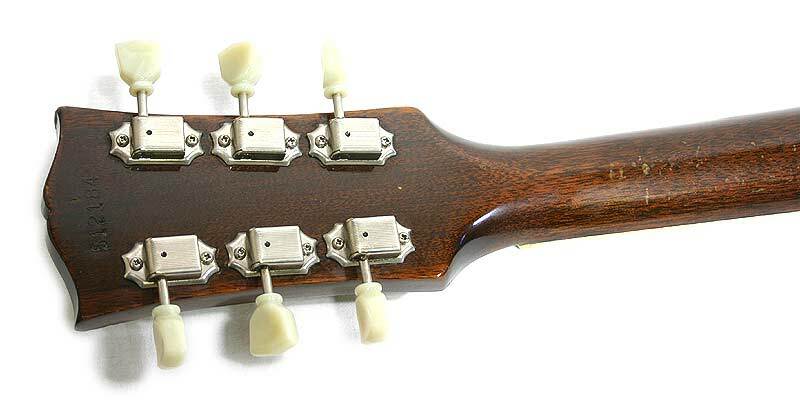 Gibson had the reputation of having an easily broken neck joint, so from 1969 a wooden volute was added to the back of the neck which strengthened the neck where it joined the headstock to avert breakage. 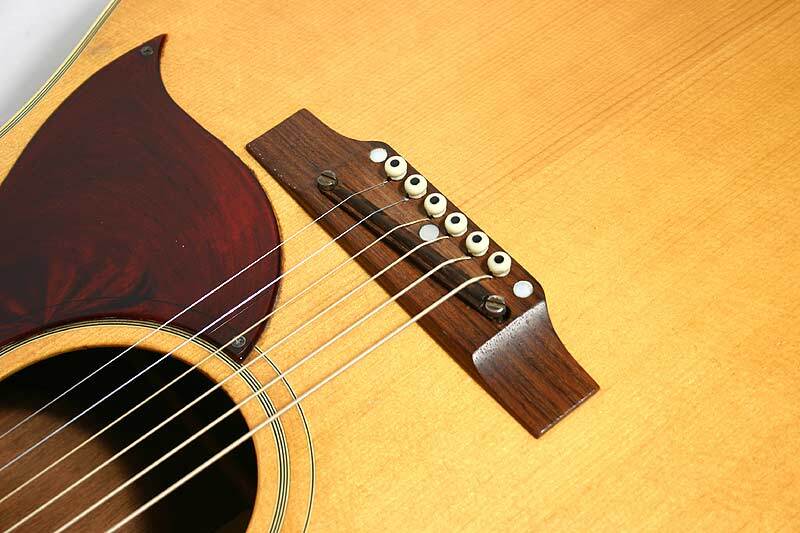 To further increase the strength, the neck woods were changed from mahogany to a three-piece maple design. 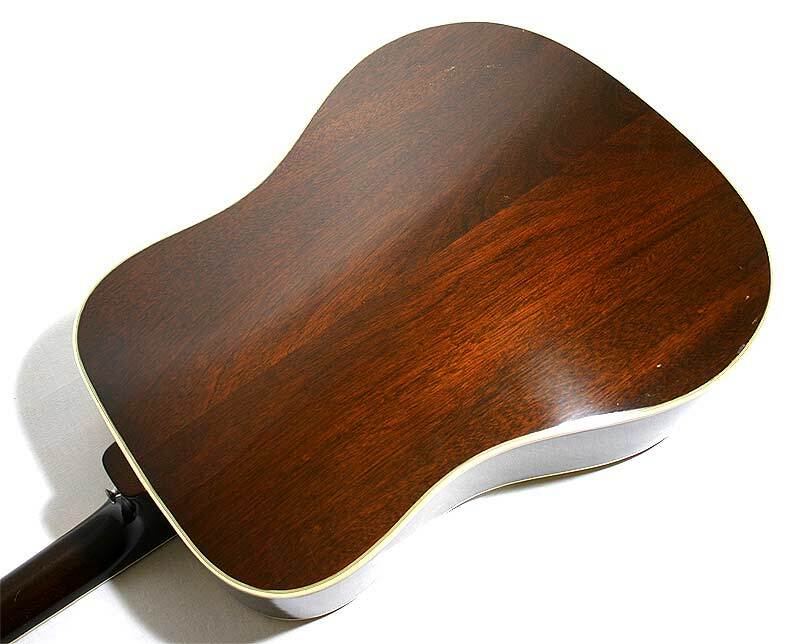 This is a non-volute model with a very slim mahogany neck. No breaks on this. The current Gibson reissue of this model is around £2,000 new.